It's winter in Philadelphia and a body has been found in a shallow grave in a frozen, fallow field. The body has been posed, the victim heinously tortured, and homicide detectives Vito Ciccotelli and Nick Lawrence soon realize they have a monster on their hands. The ME knows an archaeologist who may be able to help search the rest of the field after evidence points to more bodies. Dr. Sophie Johannsen doesn't look like Vito expected when he went to pick her and her ground penetrating radar (GPR) equipment up from the college. The attraction between them is instantaneous but horribly ill timed on both ends, and the case Vito's just landed is getting grislier by the minute. As the death toll grows and more and more bodies are discovered, it's Sophie's expertise in medieval weaponry that puts her in the cross hairs of a cold, conscienceless killer. Vito is determined to keep her safe, but someone out there is even more determined to hear her scream...and scream...and scream before the light of life is extinguished from her eyes forever. 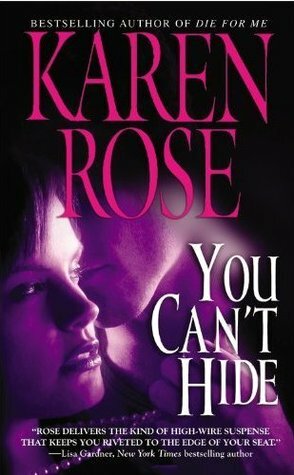 Karen Rose is the very best sort of author. Not only does she write exceptionally well, but she tells a hell of a story while doing so. I haven't been reading her books for long, but I'm quickly working through them now that I'm aware of them. 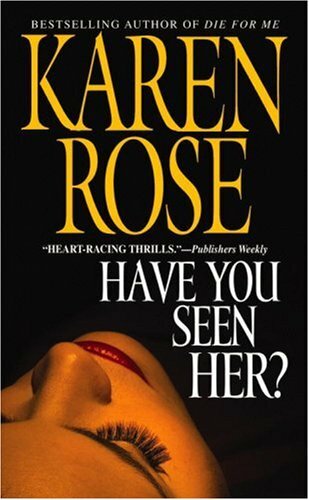 Her unique blend of police procedural, suspense, and romance sets her apart in the genre and catapults her to the top of my list of "must read" authors. 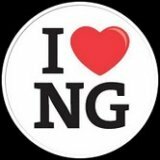 Each book is a study in intricate plotting and remarkable balance, led by strong and well developed characters leading ordinary but easy to relate to lives until one horror or another trips them up and pushes them into the realm of the extraordinary. 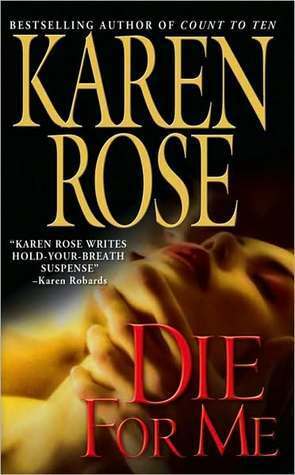 Die for Me is the best one I've read by Rose to date. 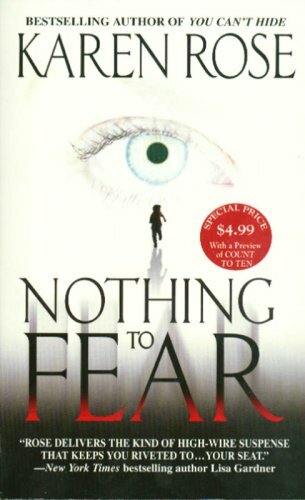 In fact it's currently at the top of my list of all the romantic suspense I've read, regardless of author. The plot is a twisting, horrifying thing that draws readers along, keeping them enthralled almost despite themselves. 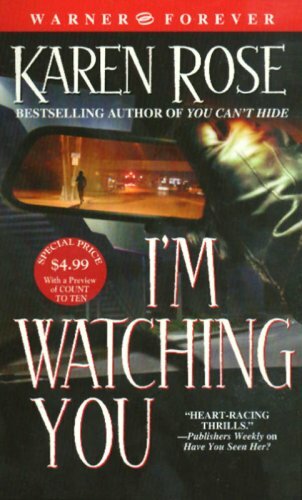 The intricacy of the timing, pacing, and plot is quite astounding given the length of the book, and the characters' journey to catch this monster is riddled with dead ends, double blinds, and shocking evidentiary information that lends Die for Me the creepy and frustrating tension that makes the police procedural aspects of the book so bleakly realistic. And hands down, I can't think of a single killer in any book I've read recently that is more disturbing and traumatically horrifying than the one here. The depth of malevolence is doubly powerful for its utter sociopathic disregard for life. This is not a killer motivated by sexual perversions or a yen for power over his victims. He doesn't taunt the police with the intricacies of his crime or do things with the intent of getting caught. He is sadistically ruthless in his own pursuits and the rest of the world and their social and emotional mores mean absolutely nothing to him. It makes him unique. It makes him monstrous. And it makes him one scary dude to read about. I would not in good conscience recommend this book for readers who are easily disturbed by atrocities perpetrated on human beings. The victims' injuries are discussed openly and graphically, even though it's in a more clinical sense, but there is more than one scene that disturbed me, and I've got a pretty high tolerance level for that sort of stuff. 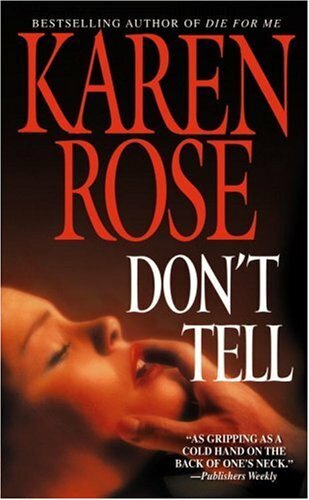 Sensitive readers should try one of Rose's other books and skip this one. And if you're the sort of reader who gets stuck imagining the physical and emotional torment of the victims as you read no matter how you try not to...you won't be sleeping well...or at all...for awhile. The romance between Sophie and Vito evolves with all of Rose's typical adept-level skill, and she makes excellent use of a full-bodied stable of realistic secondary and ancillary characters to assist in that endeavor. I haven't read many authors who can so deftly and completely populate a book with characters that are flawed and wounded to varying degrees but trend towards intelligence and goodness, who are also believable in their actions, words, and motivations. Fewer still manage that with quite the same level of aplomb as Karen Rose does. She's fast becoming one of my favorite authors. 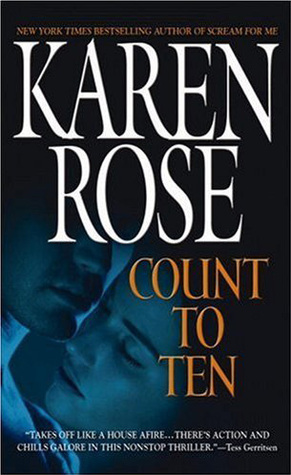 I haven't read her books in order as yet, but I'm going to start, as Rose excels in character crossover and connected backstory and I think it may serve to enhance the reading experience. The mind sort of boggles at whether that's even possible, but we'll see. 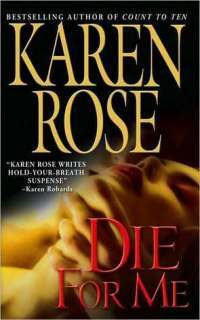 I loved Die for Me as much as anyone can love something so grim on one side of the coin, and my admiration for Karen Rose only grows with each title I read. Still...after this one, I may read some light romantic comedy, just to smooth out the rough edges left over from such a sadistic monster as the killer here. Then I'll be back.